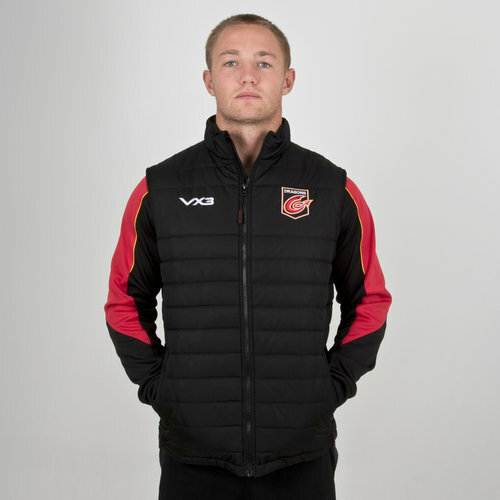 Show that your a true fan of the Welsh side whilst staying warm in this Dragons 18/19 Pro Rugby Gilet from VX-3. 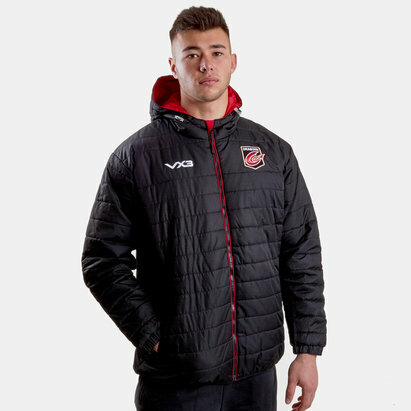 Made from a tough polyester, this Dragons gilet ensures the heat stays in and the cold stays out and comes with a soft lining ensures there's no irritation. 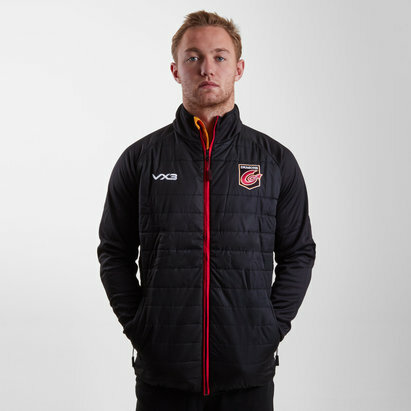 This sleeveless gilet comes in black with a black zull zip. 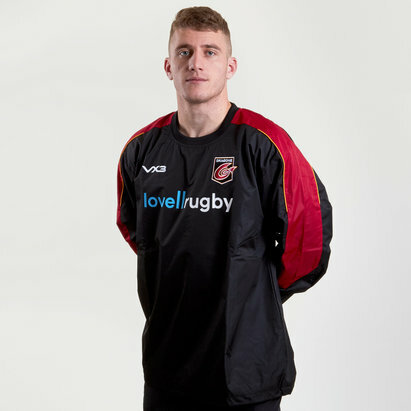 Fitted to sit at the hips with zipped pockets and the Dragons crest embroidered on the chest. 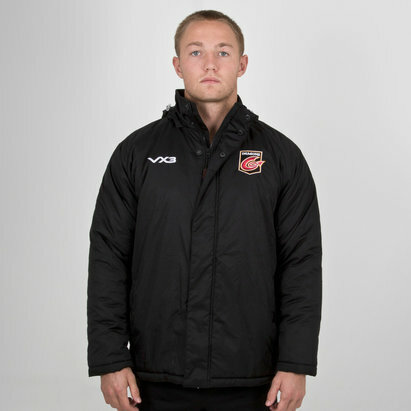 The VX-3 logo is in white on the right.